Don't settle for less when it comes to protecting the things you love. 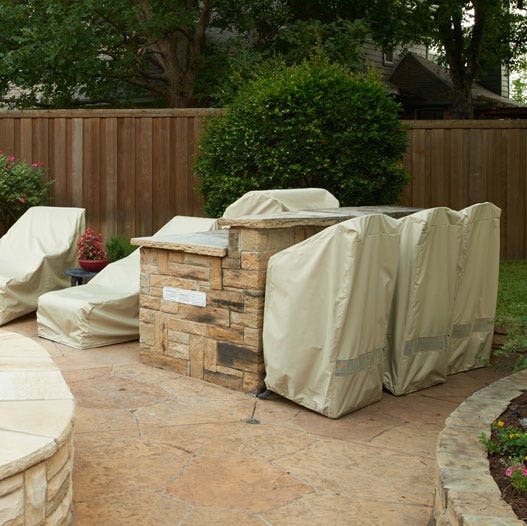 Covermates Elite Chaise Lounge Covers are designed to provide year round protection from harmful weather elements like UV-rays, rain, dirt and critters. Our Elite collection of chaise lounge covers is made from 300 denier polyester fabric that has been pre-treated to repel precipitation. These covers come with a variety of features like a mesh air vent to help circulate air and block mold & mildew, an elastic bottom hem with a drawcord for a tight fit and strong double stitched seams. All Covermates Elite chair covers come with a three-year manufacturer warranty so you can purchase with confidence. This was my second time ordering from The Cover Store. I love the feel of their Elite collection, lightweight and easy to fold up and store. After a recent dust storm the dirt just slid off the fabric with an easy shake. We recently purchased new patio furniture with a new color theme so we wanted to change the covers from khaki to grey. We ordered seven covers and accidentally ordered two items in khaki. I called the store and explained that I messed up my order and much to my surprise and delight, they waived the shipping fees on the return and replacement with an even exchange for the product. Durable fabric. Great quality. Quite pleased with this selection. Packaged well. Bigger than i expected. I think that I thought if my lounge chair was 80 inches long, I would need an 82" cover. I could've gotten one sized to fit exactly. Made very well though. water resistant. too soon to know if it fades in sunlight. A perfect fit and will help keep the cushions from getting all dirty. We've ordered a few times from The Cover Store and have always been very pleased. All the covers come as ordered and on time.Very good products at good prices. Our chaise lounge cover came quickly and was just what we were looking for. We're using it to cover 4 stackable lounge chairs and it fit perfectly! I love them , great covers !!!! Fantastic product, service and people. I've made multiple online purchases and couldn't be more satisfied. I recommend the Cover Store to anyone who is looking for great products and service. Great fit, well-made. Wonderful products. Prompt delivery. Well made. Good customer Svc. Superior as always. I've ordered about 5 times. Great prices! Well made with a perfect fit. We are very pleased with the chaise lounge cover. The quality is excellent and, as all of the Cover Store covers we have purchased and continue to use, we are sure this cover will afford us years of service. All eight covers we have purchased over the years retain their color and durability. The Cover Store manufactures excellent quality items. These are incredibly well made and attractive. I think a very fair price for all that is delivered. Very satisfied with this purchase! We buy all of our covers from the Cover Store and have never been disappointed. Always quality and pricing is reasonable. So far, the product is excellent. Strong material with strong stitching. Vents on the back of the cover provide good flow of air. Have had three hard rains since covers arrived and they have kept my chaise lounges perfectly dry. Easy to fold and store. Covers came neatly and tightly packed in a small box that doesn't require a lot of space to store. These look better than the heavier plastic covers and should provide the same protection. I'd purchase again. Excellent quality product. Very pleased with purchase. Fits tighter than expected, but everything else is good. Bought two of these as identical replacements for two that were weathered to the point of being very fragile (after about 7 years) - during the time that we had the originals, they performed well and I would recommend them to all. Cover Store packages their product very well and shipping, for me, was very fast. Very nice cover, only wished that it covered the bottom portions of my rattan chaise to protect it from the elements. I have found these covers to be very generous in size and nicely water resistant. loved this product. well made and fit my furniture well. Easy on an off, excellent quality. Covers look great and seem very durable. We have been replacing all our backyard furniture covers with these! Be careful measuring. Mine were too large, but I kept them. Great product ! Great fit - easy to put on and looks really great on. Very well made. These are fabulous. They are large and roomy. We enjoy them tremendously. Pricey but seems to be worth the price. Good quality and easy to put on the chaise. Great cover. Easy to put on, attractive and affordable. The product is what I expected. I purchased my other patio furniture covers at Costco. They did not have one that fit my large chaise. The products you have and Costco's products are comparable with one difference--Costco was half the price. That is your only negative, plus the tax and shipping. I was very pleased with this product which was large enough for my oversized chairs. I also liked the easy elastic pullover. I have tried several brands and it is definitely a challenge here in Arizona's dry climate, so I hope this cover will last at least for the warranted time. Thank you for your good service and follow up! I ordered these covers for my chaises with extra long cushions. 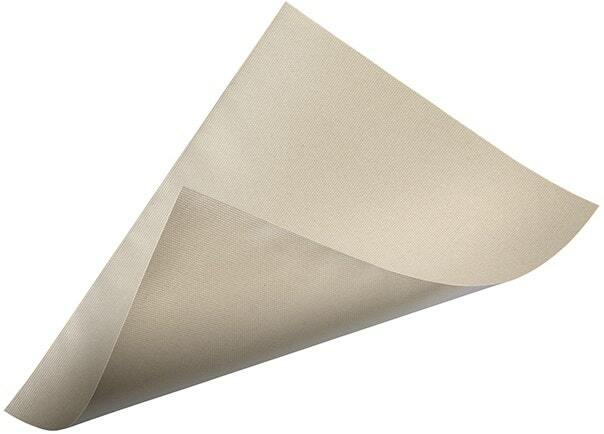 The covers are very well-made of a sturdy material, easy to put on and remove, and fit perfectly. There is no concern that the cover will move in high wind because of the elastic all around and the adjustable cord. The color is a great neutral and I especially like the vent in the back. I recommend this product without hesitation. Also, the ordering process was easy, and my order arrived quickly.